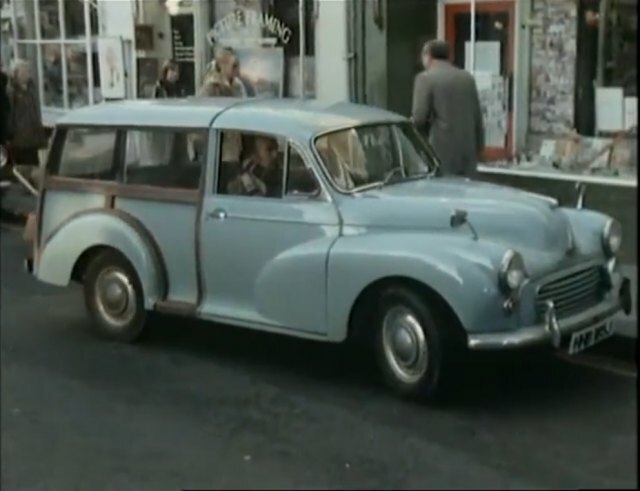 IMCDb.org: 1971 Morris Minor 1000 Traveller [ADO59] in "Armchair Thriller, 1978-1981"
Mongrel. 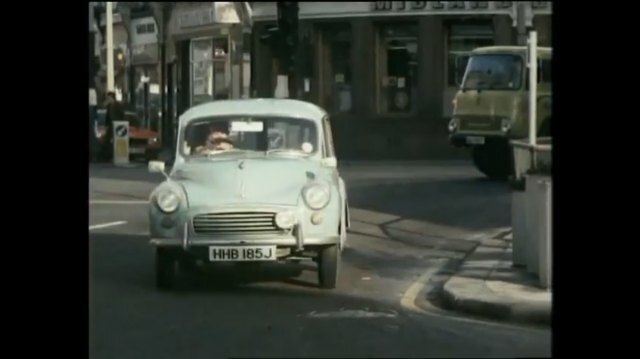 64+ wipers but older mis-matched sidelights. HHB 185J was genuine July 71 issue. Minor 1000 badges missing from bonnet. Traveller discontinued April 1971, just possible it was one of the last, but could be 1964 or later with bodged accident damage and false number plate?